I’ve been divorced from my husband for the past two years. He was physically, emotionally, and sexually abusive to me throughout our marriage. He moved out of state and I still live in our same community with our children and both of our extended families. His family knows that he was abusive to me and they’ve been loving and supportive to me throughout our troubled marriage and after the divorce. They are a close family and regularly invite me to family gatherings and have ongoing contact with me. They’re good people and they are upset at how he’s treated me over the years. Recently, my ex-husband wrote me a letter telling me that he forbids me from going to his family gatherings, as it’s disrespectful to him and his family. He says that his family agrees that divorce means we each need to stop spending time with each other’s families. I certainly won’t attend his family gatherings when he’s in town. However, his siblings sometimes invite me to attend their gatherings when he’s out of town and I feel I should go. Am I doing something wrong by having relationships with them? Even though your marriage ended, your relationships with his family don’t have to end. Your connections with his family don’t affect him, especially if he’s living out of state. His siblings and extended family are allowed to continue their relationships with you just as much as they are allowed to continue their relationships with him. Whether we’re children or adults, we get to decide the relationships we will let into our hearts. He doesn’t own his family and he doesn’t own you. It might be uncomfortable for him to see you and his family continuing forward in relationships with each other. However, no one is asking him to be a part of these interactions. I do think it’s wise to make sure you aren’t interfering with the family gatherings that he plans to attend. You built these relationships with his siblings and extended family members and no one can take those from you. Your efforts over the years to reach out, listen, serve, and connect with these individuals don’t need to be thrown away if they are relationships each of you still value. I encourage you to visit with each of these family members and share this situation with them. Let them know he seems to speaking for them and see how they respond. My guess is that they will choose to continue a relationship with you. Give them the chance to personally reassure you so you don’t let him speak for them. My guess is that he doesn’t have great relationships with his family members and doesn’t want you interfering with this unsatisfying part of his life. Abusers also have a tendency to isolate their victims to keep them from having support and safety. Whatever his reasons, you get to decide who will be a part of your support system. If your children have been pulled into this middle of this and wonder why you continue to spend time with his family, you can simply explain that your relationships with his family have always been your relationships that you have personally nurtured. 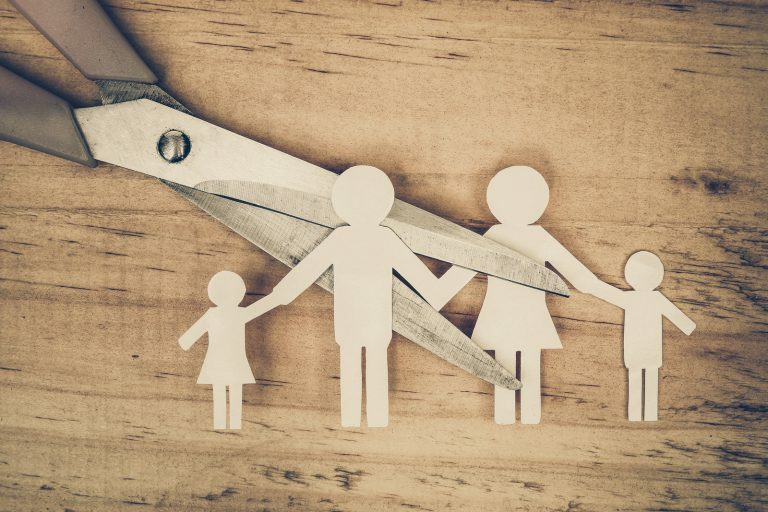 Your children will see your consideration and respect in allowing your ex-husband to have his own time and space with his family while also seeing you connect in meaningful ways at other times. Don’t over-explain this to your children. It’s not something you need to defend. Remember to always check your heart to make sure your motives in wanting to preserve these relationships are sincere. Make sure you’re not using his family members to get back at him. You may be tempted to defy his attempts at controlling you by inserting yourself into his family system. Be certain you are not trying to manipulate him or his family members. If these relationships are truly important to you, then you can confidently continue to nurture them. The ex-husband is still trying to control her. Their children should be able to visit their extended family with their mother since there is a good relationship between them. Please see this for what it is. He's just trying to control you. It could also be that he's jealous. Since you have kids, there will be times that interactions with his family are inevitable so you may as well keep the relationships at a comfortable level for you whether or not the ex 'approves'.